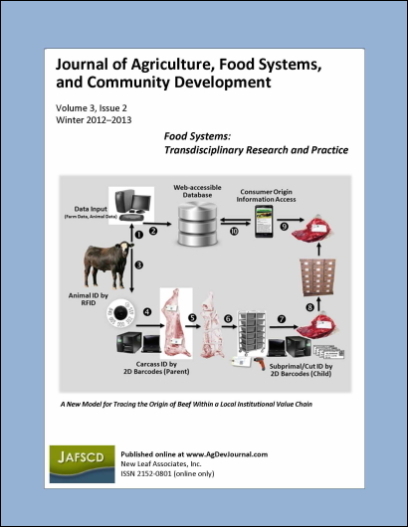 JAFSCD volume 3, issue 2 (winter 2012-2013) with open call papers. Cultivating Narratives: Cultivating Successors — A Reply to Steiger et al. Toronto Farmers' Markets: Towards Cultural Sustainability?